A site plug before anything further. While I was out not-updating-my-damned-blog, there were many others picking up my slack. Besides the new ROM dumpers who I will mention as I distribute thier ROMs, there is one other notable person… who has a twitter and a website! God-bird.net may sound like an avian religion, but dig a bit deeper and you will see, it’s a Japanese gaming preservation site, focused on bringing up old articles and memories! The site has several sections for Satellaview content! And woah, some of that stuff is good! Several scans from black-and-white magazines and color magazines, with screenshots of games I hadn’t seen prior! This is the twitter handle of the guy who runs the site. I’ve been talking with the guy and learned a lot from it! Hopefully it will be useful in coming articles! Ok, kept the updates waiting long enough. Let’s get the wave started. As usual, I’ve had a long time between updates. I won’t bother making excuses this time, because I got a backlog of stuff to toss up here. Let me start with the big one, though! … no, wait, ONE of the big ones. Yeah, we got multiple. This article has a lot of technical notes, so the ROM download link will be provided first. BS Zelda Map 2, episode 1 was redumped. For reference, the BS Zelda Homepage has had a ROM download of Map 2 up for a while which was sent to them via makuchan. However, that ROM was distributed with several hacks already applied to it, meaning it was not a good preservation ROM for a dat like No-Intro. Many years went by where this unfortunate hacked dump was the best available dump of the ROM. Now, finally, skaman sent me this dump from sanmaiwashi. This is right from the 8M pack, and is similar enough to the previous hacked ROM that the differences can be spotted immediately. More details are in this BS Zelda Homepage forum thread. Most addresses of our “impure rom” simply rewrites bs-x bios registers so that the emulator is able to boot is, like LDA $115808 -> LDA $701808. Your rom crashes on normal emulators, as these bs-x registers (bank $11) are not remapped to bank $70 (sram register). a9 12 8f f9ff 7f a9 07 8f ff ff 7f… changes the timer to 18:07 so that the game doesn’t freeze immediately. guess this implements a srm. I have considered using this blog to post about other rare gaming stuff for some time. I’m still not certain if I’ll do it often, but this? The attempt to obtain and rip this is much of the reason the blog has been slow, so you bet your horse I’m making sure you guys all check it! A few copies of this VHS are circulating on Yahoo Japan Auctions now. I was pretty excited seeing the cover art, but now I would say that cover art is slightly misleading. You see, while Bomberman does play a role in this anime, it’s really more about a family recovering from an earthquake disaster, with a few Bomberman scenes interspersed for comedic relief. There are currently no subtitles, but if I can get bluesun to care about this, that might change. 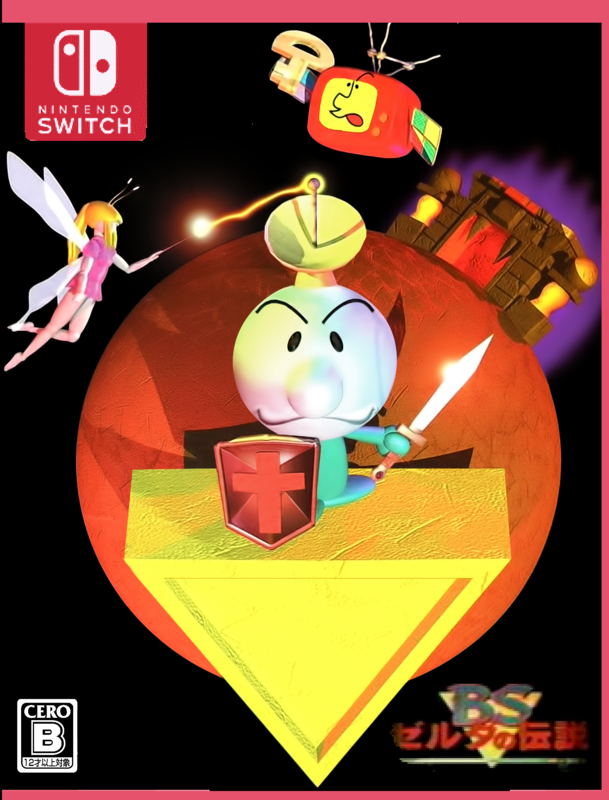 Though I’m uncertain about that, considering how disappointed I was that this wasn’t something more like… well, Bomberman Jetters, which would be an actual Bomberman anime. 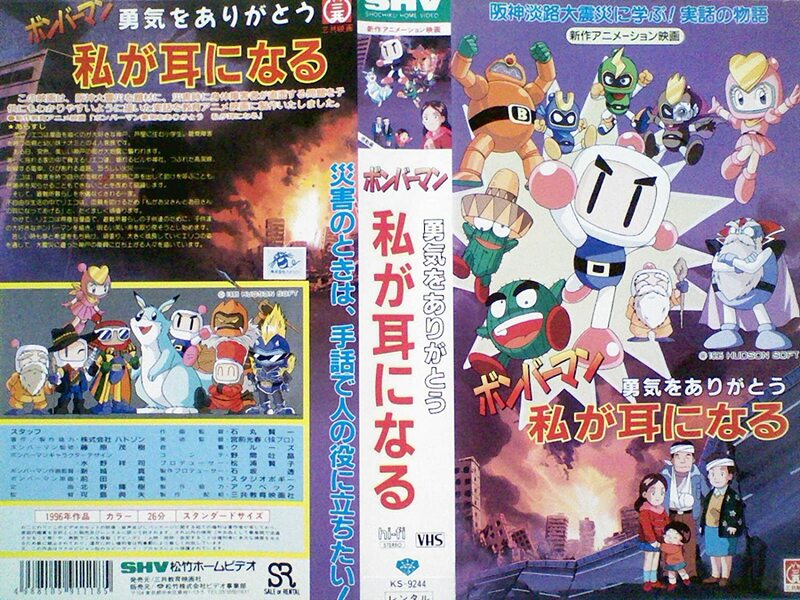 If you’re familiar with the Bomberman B-daman anime series, you may kinda like this one! Or maybe not, I dunno. It’s also a bit weird, but in this case the weirdness is what I’d come to expect from late 90’s Japanese kids media promotional material – that is, Japanese people trying to rap over a card game. Yep. JUST LIKE POKEMON. Highlight of this one? “Go Go Bakugaiden” with no credits. That OP looks gorgeous! And my rip of this vid may be the best it will ever look as long as Bakugaiden does not get the Blu-ray treatment! If you guys are wondering where the haul of Kirby no Omochabako ROM dumps from last November/December are, they are on Satellaview.org website. Callis started this site up to better document details about the dumped Satellaview ROMs. It’s a bit early in development, though! Do what you want cause a pirate is free, you are a ROM pirate. Thanks to ChronoMoogle for pushing me to update AGAIN. Also for the actual 8M Pack ROM in question! We got an innnnnteresting thing here. Here, we have a “Bakusho Mondai no Totsugeki! Star Pirates” ROM. So, this ROM… it’s likely to be a bit of a mystery for some time. But that said, first thing to note: We got our first Satellaview quiz show ROM. It’s not Satella-Q, however. This seems… much more strange. The ROM recording up above gives you an idea how it plays, although there are no button inputs in the video, but I assume most of the content is shown anyway. Without a translation, it’s hard to tell if there’s any context you can get for the quiz questions within the base game – if it’s like Satella-Q, probably NOT! Furthermore, it is difficult to even tell what EPISODE it is. 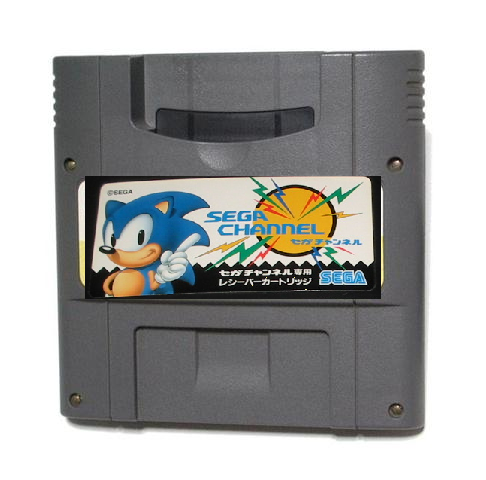 Let’s take a look at this Japanese Satellaviewiki for reference. If we go by these dates, and compare with the header date in the ROM, which is 8/25, then… Maybe it’s episode 2? I don’t know! The header does not specify the episode title, much to my frustration! A sound link game consisting of a quiz format. [The Plot is] that [Bakusho Mondai] rides the [apparently problematic] space ship Star Pirates […] and collects hidden treasures scattered in the universe. Every time the spaceship breaks down, landing on a planet somewhere, the planet there will somehow challenge the [player with a] quiz [verbally spoken and pre-scripted]. Radio broadcasts are broadcast the same every day for the week. IF ANYONE CAN SUPPLY ANY FURTHER INFORMATION ON THIS PROGRAM, PLEASE LET ME KNOW. I personally suggest using SNESGT to boot this emulator – and set the game clock to around 3 minutes into the hour or earlier so as to not accidentally skip content. The Kiddo who cried ROMs. Because I slacked off on the releases lately, I’ll throw two up here today. Both of these are from the Yankee/ikari/ChronoMoogle ROM set from previously. There will be many (kinda old, but still good) translated notes from bluesun. They were originally posted on Discord, and as such have been reformatted. According to bluesun, this magazine, based on the text in the ROM itself, is the final issue of “Game Tora no Ooana Special”. It would be replaced with “Game Tora no Chou Ooana”. Not that I know how significantly different they would be. It features quite a lot of screengrabs of anime games – and some of the best ones on Super Famicom, to boot. DBZ: Hyper Dimension, Gundam Wing: Endless Duel, and Sailor Moon SuperS are all repped here. The ROM has difficulty booting on emulators because of hiROM compatibility shenenigans. The setup I used to record the ROM was SNES9XPP XE (bugged as it is) being set to force hiROM bootup. Another baffling magazine that seems to make little sense without the contextual radio program meant to accompany it. The title “Okami ga Kita” is based off the Aesop Fable “The Boy Who Cried Wolf”, but it’s hard to tell how anything in the program relates to that! Everyone, the address is he-re! The ROM has blanked out header data, meaning this was recovered as deleted and set to be overwritten. The deleted header makes it difficult to boot up properly in emulation (You will most likely get garbled text, which occurs due to a failure to detect a game as being designed for BS-X.) I doubt anyone’s gonna try to redump this, though. I myself did some quick header hacking to be able to generate a ROM that would show text in SNESGT in order to do the video recording, but it seems a bit bugged anyway so I’m not gonna put it up for download with it until it’s fixed. 泉谷しげる・浜崎あゆみ　狼が来た!! | Izumiya Shigeru & Hamasaki Ayumi: Okami ga Kita! !